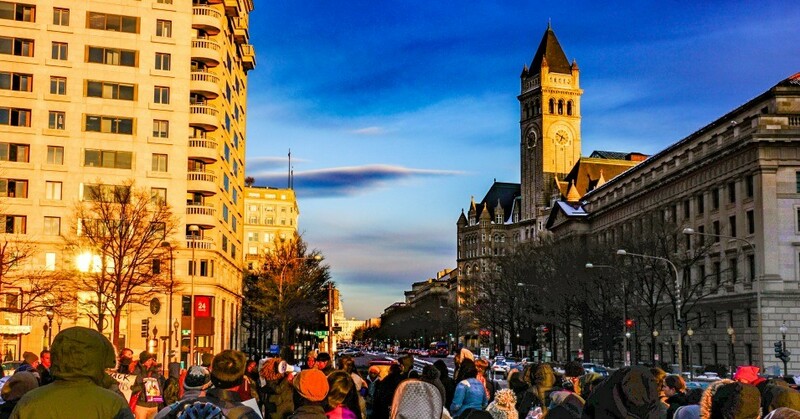 While 380,000 federal employees have been out of work on furlough for 12 days and 420,000 more are working without pay due to the government shutdown, the General Services Administration has reportedly found the funding to reopen the Old Post Office tower in Washington, D.C., which shares a building with President Donald Trump’s hotel. The hotel has been the subject of lawsuits and numerous complaints by government watchdog groups since Trump took office in 2017, as numerous foreign heads of state have stayed there, likely violating the Constitution’s emoluments clause which forbids the president from accepting payments from foreign governments. Now, amid reports that national parks across the country have become overrun by garbage, human waste, and damaging illegal behavior on protected lands, the tower site alone will reopen to the public. It’s unclear whether the Trump administration intervened directly to reopen the tower—but critics and government watchdogs regarded the development as another possible example of the president’s self-serving actions, placing the profits of his businesses ahead of the public interest. This entry was posted in Austerity, Corporate Personhood, Corruption, Economics, Government, Social Justice, Women's Issues, Workers' Issues and tagged Bill Pascrell, Capitalism, Citizens for Responsibility and Ethics in Washington, Corruption, Donald Trump, Economics, Emoluments Clause, government shutdown, National Park Service, Old Post Office, social justice, Trump International Hotel, Trump Organization, Women's Issues, workers' issues on January 4, 2019 by MNgranny.